We’re straight-haired girls. Always have been, always will be. But as the saying goes—you always want what you can’t have, and we have wanted curly hair since our first day of first grade. After years of trial and error, fighting with hair dressers about perms, countless dollars spent on various irons and rollers, you won’t believe what we discovered. 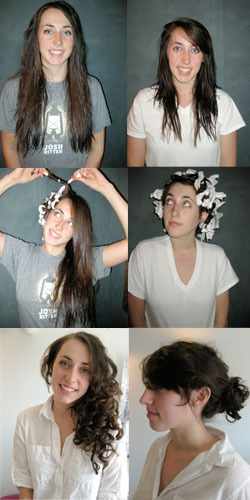 The best stick-straight-to-curly hair transformation: Bounty Select-A-Size Paper Towels. Yes, fellow straight-haired readers, you read that correctly. In four steps (one of which is sleep!) you too can have Curly Sue ringlets via paper towels.